To all my Technicians out there reppin’ the snake and bat. 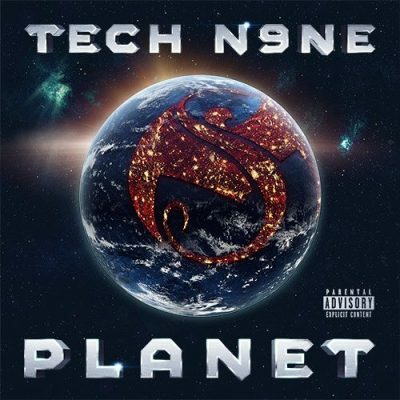 Tech N9ne‘s album Planet dropping on March 2nd is available for pre-order right now! This album comes available in 2 different versions. 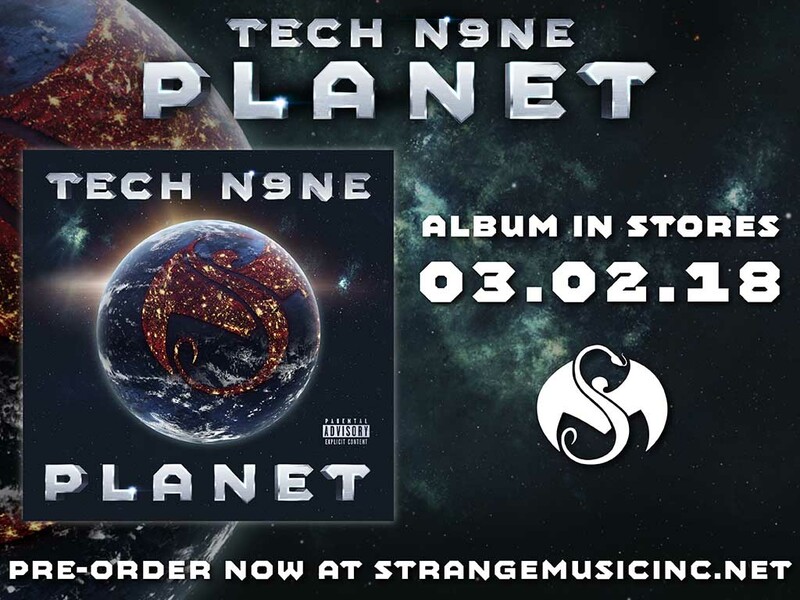 Both versions come with a limited edition Planet t-shirt (XL only), a Strange Music sticker and a free download track but you gotta pre-order fast to get that special flavor. So far we know that Strange Music artists featured on the album include Mackenzie Nicole, Krizz Kaliko, Darrien Safron and Joey Cool. Very Cool. Pre-order now at StrangeMusicInc.net by CLICKING HERE. Why pre-order music? wait till it drops and then buy it, if it’s any good! well, to offset production expenditures, of course. silly. granted, i cant really come up with any other reasons… preorder bundle packages, i guess, for those extra trinkets and stickers n stuff. but still. if you dont wanna buoy the company, cool. wait. Looked better with the hatchetman on DJ Clay’s “A World Upside Down: The Mixtape”. And $20 for a standard (with or without the shirt) is a little ridiculous. At least ICP and Twiztid keep it reasonable, like $9-$10. How about you stop releasing the same album year in, year out. I swear his last 4 projects have sounded exactly the same. How does he keep getting away with it and still selling the way he does? Madness. I gotta agree with Cox’s last comment- I loved and miss the early days of Strange. Especially PDM. Dopest thing next to Anghellic & Absolute Power to ever be released via Strange. 2scoops of whoop Ninjaz.